Arun Sajwan (Arun) is Co-Crafter – Strategic Innovation at CRAFITTI CONSULTING (www.crafitti.com). Arun is based out of National Capital Region (NCR) of India and looks after Crafitti Delhi region. 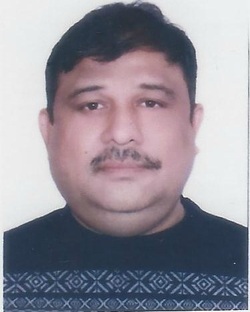 With Masters in Computer Science from Indore University (India) and Bachelors in Physics from Delhi University (India), Arun has nearly a quarter century of professional work experience. He has performed operations management, client relationship management, business development with solution selling integration, and team leadership roles in Startups, SMEs, Large and Multi-national companies in India and USA. Arun is also a founder director Techizen India, a software services company focused on e-learning. Prior to that he was founder director of Infobiquity technologies, India, an IT company specializing in Insurance solutions. Arun is also on advisory board of few startup companies . Arun brings with him an innate capability to take an idea to a form that adds wide scale value. He works with large organizations in search of change that bring bottom line and top line value.